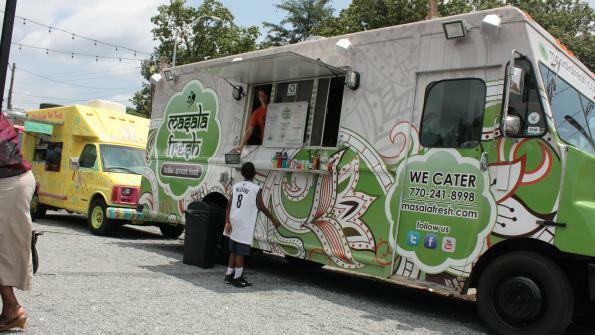 Food trucks may offer municipalities nimble solutions to nutrition problems. I’m all for them. They are no longer simply the old familiar “roach coaches” of days gone by. Some of these actually offer cuisine that can rival some sit-down places. But, and there seems always to be a ‘but’, many of the brick & mortar establishments do not appreciate the competition and seek to remedy that situation by calling in their markers with city or local representatives to create ordinances making food trucks essentially against local law. Talk about levelling the playing field, these communities get rid of the playing field for favors. It’s happening here. It is not always convenient to jump in a car and drive to an establishment, wait for seating and your food and make it back to work or wherever on time. With this new re-invention of an old idea, the meal comes to you and its not in a speeding car with a sign on its roof driven by a teenager barely able to understand traffic laws. I see these as a good thing.